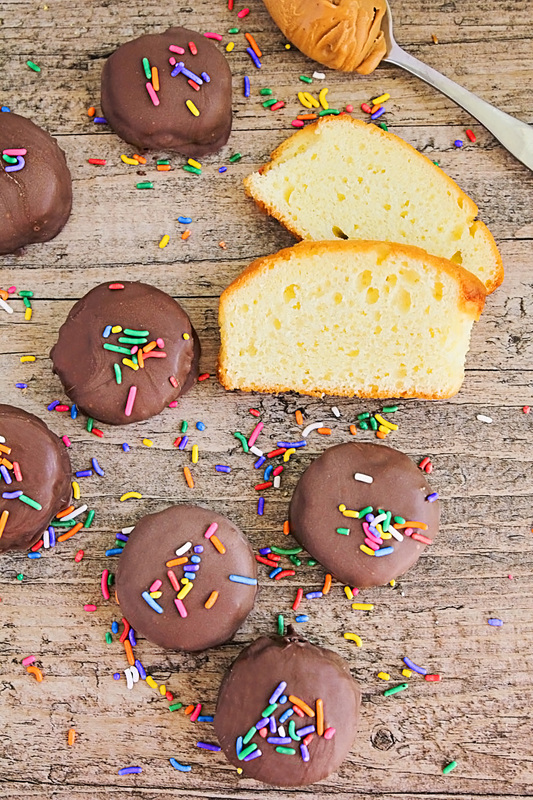 These Tagalong pound cake bites are so addicting and delicious! Sweet pound cake topped with peanut butter and dipped in chocolate - yum! These Tagalong pound cake bites have all the deliciousness of Tagalong cookies, but they're easy to make at home (and I think they're tastier for being homemade!). I got the recipe from Mom Loves Baking, and it is definitely a keeper! If you haven't visited her site before, Lise shares fantastic recipes (including some gluten free and vegan recipes) and lots of yummy treats! I can't wait to try her Mint Chocolate Chip Ice Cream Cake, Chocolate Turtle Poke Cake, and Caramel Apple Donuts. 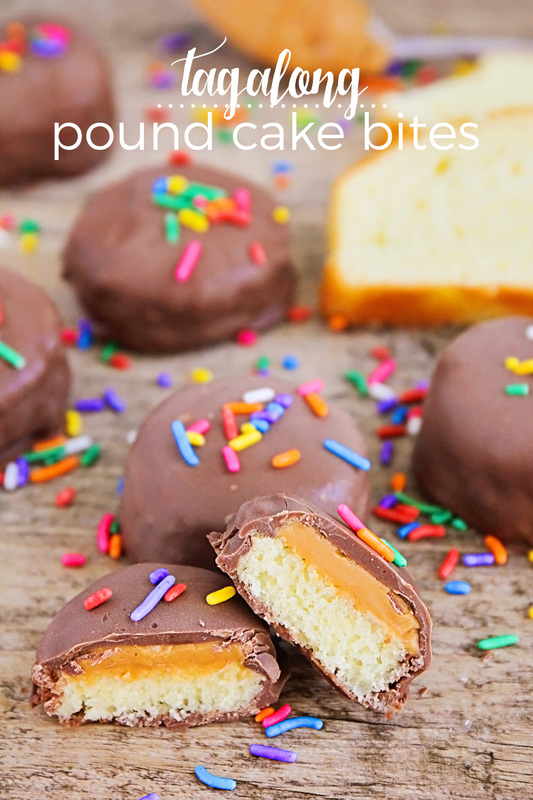 These Tagalong pound cake bites definitely satisfied my husband's cravings for peanut butter and chocolate (and I have to admit that I liked them too). They were super easy to make too! I think they'd be perfect for a special occasion, or just a midnight snack. They will definitely be making another appearance in my kitchen soon! for the full recipe and directions, visit Mom Loves Baking! 19 Awesome Memorial Day Eats!